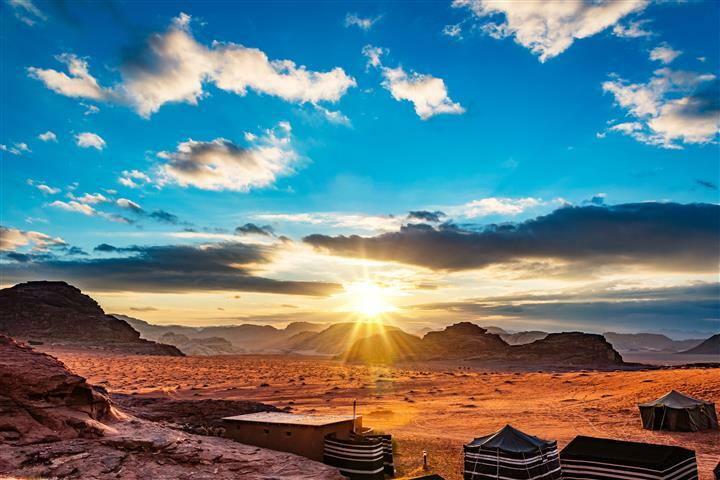 Start out at 06:00 from your accommodation in Wadi Rum. 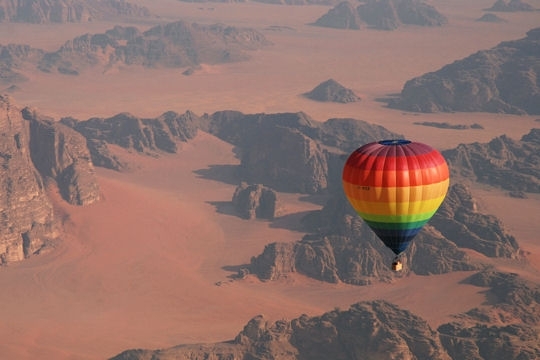 A driver will take you to the site in Wadi Rum, where you will be able to see the balloon being filled. In the meantime enjoy the amazing sunrise. The whole experience will last about 2 to 3 hours. The actual time in the air is about 1 hour. 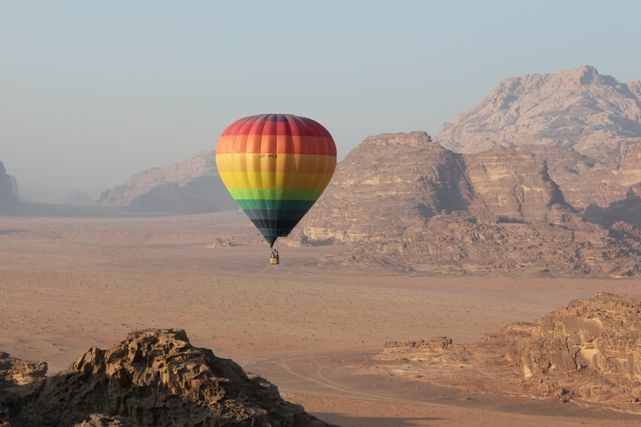 The balloon will go up to 3000 feet. 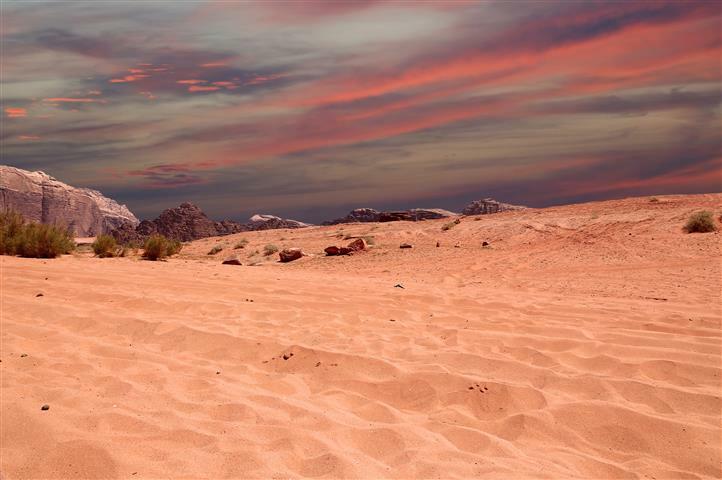 You will be able to see the tranquil desert, the beautiful sandstone formations, and the astounding mountains. This is a once in a lifetime tour that shouldn't be missed. Any age is welcome. 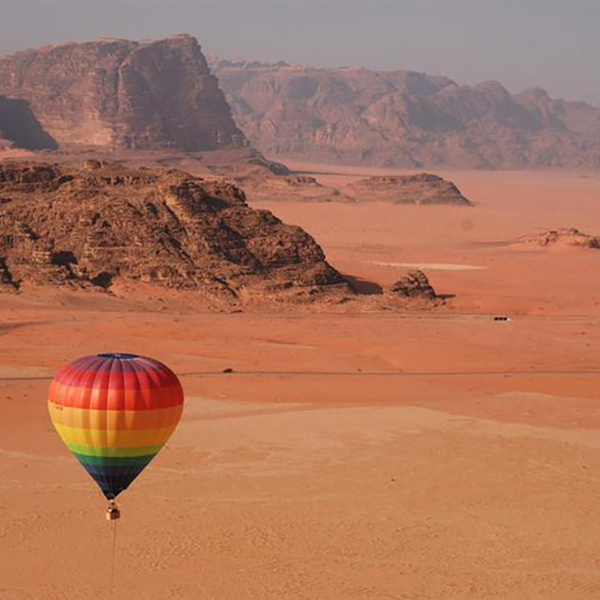 Note: This tour can be added on to any Petra and Wadi Rum tour.